The Shiv Sena on Friday accused Prime Minister Narendra Modi-led government for the debated failure of demonetisation, and made a wry comment that the expense incurred on the printing of new notes was merely a drain of funds for the purpose of fame and advertising. The scathing attack was published in the Sena's mouthpiece, Saamana, and came close on the heels of the RBI's demonetisation report, which revealed that 99 per cent of old Rs. 500, and Rs. 1000 notes were returned to the banking system. It claimed that the one per cent bank notes that didn't return to the banking system were probably not black money, as generally the middle class didn't deposit the money, because either they got tired standing in the queues at banks or were simply ignorant. It also added that people who actually possessed, far from getting caught, didn't even get affected by it. "In fact, most of the black money was invested in the real estate of cities like Mumbai. It need not be named who were the affluent lot," it added. It also pointed that while Rs. 26,000 crore were not returned to the banking system, an additional Rs. 21,000 crore was "drained away" on the printing of new notes. "Thus, Rs. 21,000 crore were drained away in the 'wisdom account' of fame and advertising," mocked the editorial. The results of demonetisation were contrary to what was claimed, said the Shiv Sena, adding that it instead "reduced the smooth flow of economy to a puddle", and resulted in an increased price and many businesses facing heavy losses. It also stated that the Prime Minister's claim to be false that demonetisation would put a hold on terror funding and remove fake notes from the market, and said that it, in fact, increased the number of soldier martyrs. As for the fake notes, the forged Rs. 2,000 notes came into circulation a month after its launch. It accused Prime Minister Modi for making the middle class suffer due to this move, many of whom died waiting in lines, and using demonetisation to for the benefit of election. 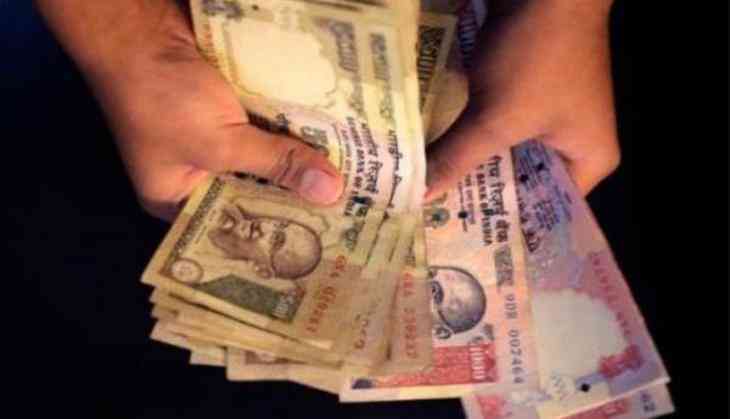 "The money was used in the Municipality election, District Council, and Uttar Pradesh Vidhan Sabha election, and the atmosphere of 'pink notes' opened the doors of victory," Saamana commented. Nearly 10 months after Prime Minister Narendra Modi announced demonetisation, the RBI recently published a report that stated that 99 per cent of the old currency notes were returned to the banking system.